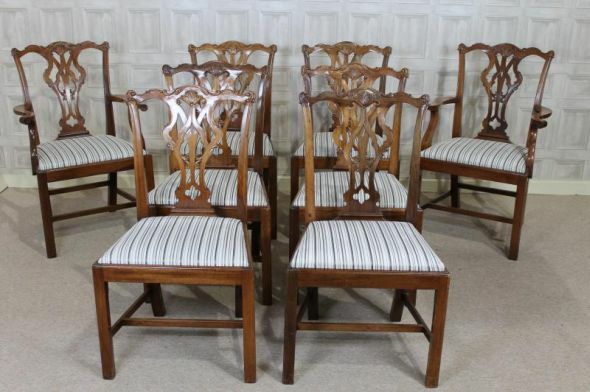 A superb quality set of circa 1950s mahogany Chippendale style dining chairs. This set comprises of six side chairs and a pair of carvers. They are superb quality, and in outstanding condition for their age. Although they are not antique items, they have the appearance of antique chairs. As you can see from the selection of photographs, they are superbly carved, and would complement any period dining room.